Valid Modifiers for NCCI Edits Data for IOCE Quarterly Release Files. This dataset contains information about ‘integrated’ Outpatient Code Editor (I/OCE) program processes claims for all outpatient institutional providers including hospitals that are subject to the Outpatient Prospective Payment System (OPPS) as well as hospitals that are NOT (Non-OPPS). This dataset contains Valid Modifiers for January, 2016. Prior to OPPS, the software focused solely on editing claims without specifying any action to take when an edit occurred. It also did not compute any information for payment purposes. 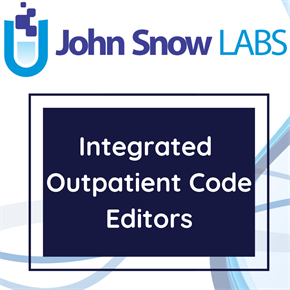 The OPPS functionality of the Integrated Outpatient Code Editor (I/OCE) software was developed for the implementation of the Medicare outpatient prospective payment system mandated by the 1997 Balanced Budget Act. CMS released the proposed OPPS rules using the Ambulatory Payment Classification (APC) system in the September 8, 1998 Federal Register. Final regulations were published in the April 7, 2000 Federal Register and the system became effective for Medicare on August 1, 2000.The APC-based OPPS developed by CMS is the outpatient equivalent of the inpatient, DRG-based PPS. A claim will be identified as ‘OPPS’ or ‘Non-OPPS’ by passing a flag to the Outpatient Code Editor (OCE) in the claim record, 1=OPPS, 2=Non-OPPS; a blank, zero, or any other value defaults to 1. These edits are updated quarterly and changes are communicated through Program Memorandum Transmittals. For Medicare purposes, modifiers are two-digit codes appended to procedure codes and/or HCPCS codes, to provide additional information about the billed procedure. In some cases, addition of a modifier may directly affect payment. The APC system establishes groups of covered services so that the services within each group are comparable clinically and with respect to the use of resources. The OCE not only identifies individual errors but also indicates what actions should be taken and the reasons why these actions are necessary. In order to accommodate this functionality, the OCE is structured to return lists of edit numbers. This structure facilitates the linkage between the actions being taken, the reasons for the actions and the information on the claim (e.g., a specific diagnosis) that caused the action. In general, the OCE performs all functions that require specific reference to HCPCS codes, HCPCS modifiers and ICD-9-CM diagnosis codes. Since these coding systems are complex and annually quarterly, the centralization of the direct reference to these codes and modifiers in a single program will reduce effort and reduce the chance of inconsistent processing. Current version is 62 and start date is 2016-01-01. Integrated Outpatient Quarterly Release Files Version 17.0, Valid Modifiers for NCCI Edits Data for IOCE Quarterly Release Files.